“Russia is more experienced in the transmission system when it comes to 40-ton class helicopters, as Russia’s Mi-26 is of the 56-ton class. Our goal in the cooperation is to learn from Russia’s strong points and close the gap,” Wu said at a Thursday（March 7）press conference featuring Chinese legislators and political advisors in the field of aviation. Wu said that China lacks experience in technologies related to the transmission system. 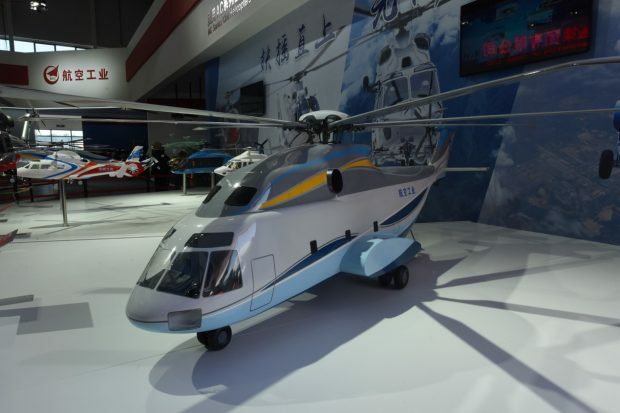 Russia’s state corporation Rostec is set to sign “the contract of the century” with China on the helicopter “in the coming two months” after four years’ talks on the project, Russia’s Tass news agency quoted Viktor Kladov, a Rostec representative, as saying in February. As a strategic cooperation project between the two countries, China has now reached agreements with Russia in technology, management, and business-related fields, Wu said. Under the contract, at least 200 heavy helicopters will be built in China, Kladov said in 2017, Russia’s state TV channel RT reported then. China is responsible for the helicopter’s design and production and Russia would be acting as a technical partner, Kladov said. The heavy helicopter, dubbed Advanced Heavy Lift, would have a weight-lift capability of 15 tons, a range of 630 kilometers and a top speed of 300 kilometers an hour, RT reported. A heavy helicopter can usually be used to airlift heavy cargo and vehicles without the need of an airfield. For military use, a heavy helicopter can transport troops, armored vehicles, artillery, and rockets. For civilian use, it can lift heavy engineering vehicles to sites where normal transportation routes could not reach in case of a natural disaster, military observers said. China will have a complete helicopter family covering from 500-kilogram class to 40-ton class, to satisfy all kinds of needs, Wu said.